-Oil change every 3k miles premium conventional oil. -New Fuel Pump done by recent owner at 1k miles. -Car will aslo come with new rotors and brake pads. ***Car up for sale and need to pay unpaid bills and moving to canada, so I decided to sell this beautiful car ASAP. 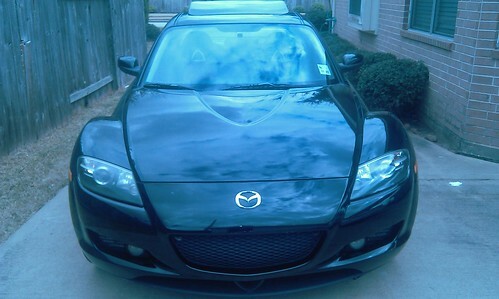 Let me tell you it is a very clean Mazda RX8 GT 6 speed manual Touring with all options from factory. The engine, transmission and overall mechanics of car are in great condition to extent there is no LEAKS. Don't be deceived by the highway mileage the car was used by the recent owner in the diamond distribution business to travel across the Southern Regions, which was the cause of high way miles. To be honest the vehicle is still in like new condition such as the interior and exterior. 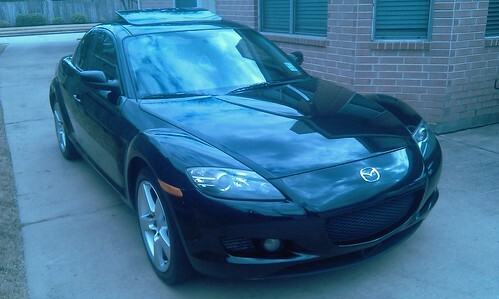 Mainly engine was replace under warranty by mazda around 80k at Miami Mazda. I purchased the car from a Mazda enthusiast who build and maintain rotaries with extensive knowledge up in Lousiana, Baton rouge. The car was therefore in great mechanical condition with all service records and updates done. CAR IS 100% STOCK, the paint is in great condition and has NO oxidation or anything there are some bug and rock chips on the front though. The leather is two tone black and brown very desirable with every option from factory in great working condition. 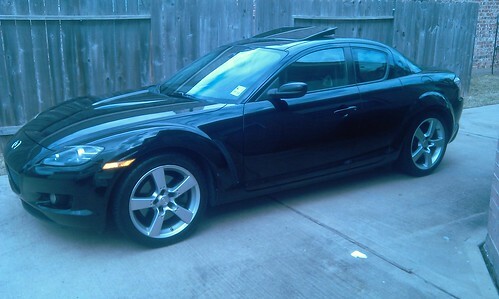 The RX8 is very quick with a high revving rotary that pulls all the way to 9,000rpm. Its one of the best handling cars I have ever driven and also I am open to trades such as S2000, E36 M3, IS300, Acura TL and GS300... If more pictures are requested I can email or txt to them to serious inquiries. Can txt me or reach me at 832-533-0486 for question about the vehicle Thanks. compression tested 106 front rotor and rear 103 =) still run like a champ. This is the same one as on H-I, right? Pretty sure I told you that's not what compression results look like lol. Go to an rx7club meet and there is usually a guy there that will let you use his tester for free, you just have to be the one doing all the work. Flaming? I was trying to help you. You have to have the cranking rpms for the compression numbers to make complete sense.